For the best centrifugal pumps, businesses and municipalities turn to Phantom Pumps, one of the leading centrifugal pumps suppliers. 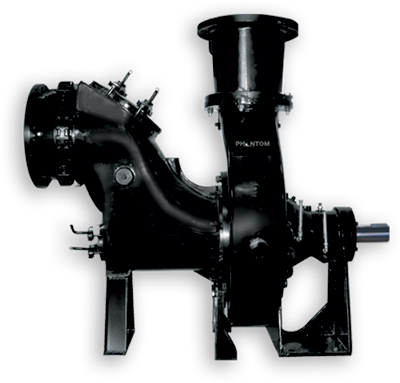 Phantom carries a wide range of industrial centrifugal pumps that meet a variety of plant needs. The Phantom Pump and DPump, which is an ANSI pump, are two of Phantom’s most popular centrifugal self-priming pumps. Of course, these are not all of the places that rely on Phantom’s pumps. Phantom is not just another of the centrifugal pump suppliers in the industry, but they are also a centrifugal pump manufacturer. Both the Phantom Pump and the DPump are built by Phantom. Because they build the products they sell, Phantom is able to consistently deliver a high-quality pump. They know these pumps are reliable to keep your plant running at all times. Although Phantom builds their own pumps, they realize these pumps are often installed as replacements for broken pumps from other centrifugal pumps suppliers. Therefore, the industrial pumps that Phantom builds are designed to be compatible with other self-priming pumps to offer replacement parts for other models. The Phantom Pump is the perfect replacement for the Gorman Rupp and the DPump is built to replace the Durco Pump. Because they build a widely compatible, reliable self-priming pump, Phantom is recognized as the best in the industry. That is why businesses and municipalities turn to them regularly for centrifugal pumps. Contact us to learn more about our centrifugal pump models to meet your application needs.